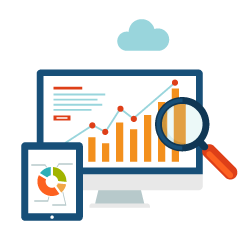 Analytics provide a wealth of information that, in a birdseye view, greatly enhance your ability to gain and keep new customers. Easy to understand reports show you visitor behavior, devices, referring sources and even what products or services they are most interested in. We highly recommend Google Analytics which is a free service offered by Google. It is relatively easy to implement on any website and will give you tremendous insight into the relationship between your website and it's users. When you utilize analytics properly on your website, your business will enjoy increased Click Through Rate (CTR), lower Cost Per Action (CPA) and a greater Return On Investment (ROI).